It was an honor and pleasure to interview Mrs. Saleemah, the face and voice of an amazing natural hair line collection, Hydratherma Naturals. Please read & become inspired! 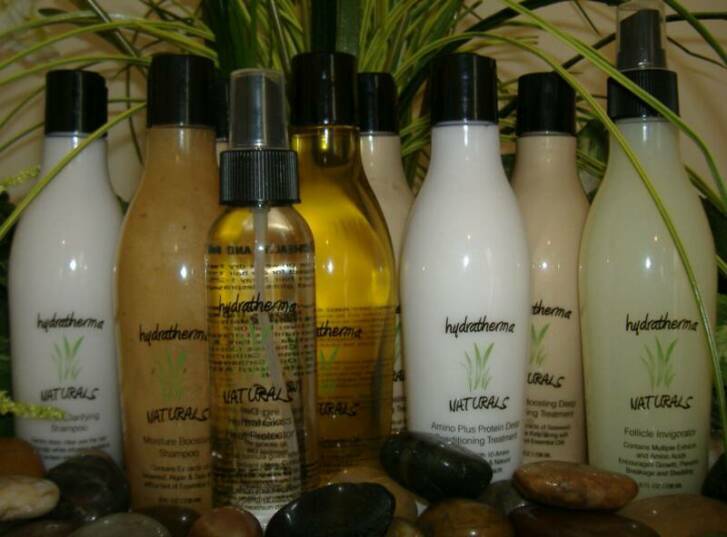 What made you want to start Hydratherma Naturals products? I believed that there was a need for healthy hair products on the market that will balance out the moisture and protein levels in the hair. What makes your company unique? Different from other companies? Our focus is on great / affordable products, philanthropy and great customer service. One key aspect of our line is that it balances out the moisture and protein levels in the hair. 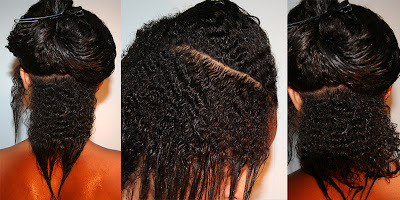 Too much moisture can cause breakage and too much protein can also cause breakage. Sometimes it is very hard to tell which one your hair needs (moisture or protein). Our products will help you take the guess work out of it and allow your hair to fall into a normal moisture / protein balance. Our Philanthropic efforts have been very rewarding. When anyone buys Hydratherma Naturals products, they contribute to many charitable organizations. Giving back is very important to us. What is your personal mission for Hydratherma Naturals' products? Not only do we offer superb products, we also educate women and men on healthy hair practices. 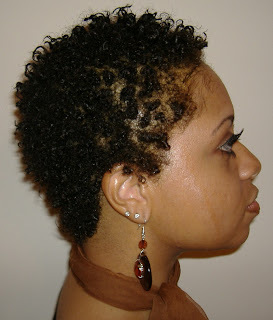 We have volumes of info on our www.HealthyHairJourney.com website and also give healthy hair consultations. 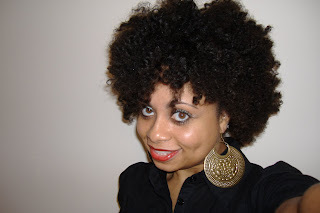 Why do you think there's such a shortage in great Natural Hair product lines? Many products on the market contain petrolatum and mineral oil. Contrary to popular belief, these ingredients only coat the hair strand and prevent moisture from entering. This lack of moisture / protein will eventually cause breakage. We all have to educate ourselves on how to take better care of our hair and what ingredients to avoid. ﻿Who can use Hydratherma Naturals? Who is it for? 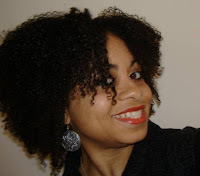 Our products are for those with natural hair and for those with chemically treated hair. Anyone with dry / damaged hair and those who just want to maintain healthy hair. Tell me a little about your hair journey? 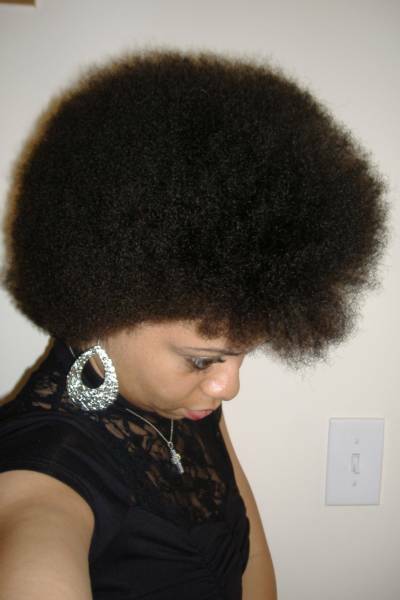 When did you decide to go natural & Why? How long have you been natural, etc? I have transitioned from relaxed to natural on 3 occasions. I have experimented with many hairstyles and colors as a cosmetologist. I did my big chop in 2008. I was relaxed for a while and I did have healthy/ long relaxed hair however, I just missed my natural hair texture. 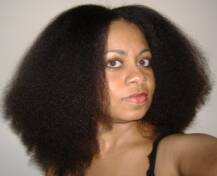 I wanted to wear my “big hair styles” and I couldn’t achieve them with my relaxed hair. I transitioned for 8 months before doing my big chop. I made sure to keep my new growth well moisturized and sealed with oil with our products so that I could prevent breakage while I transitioned. What are your main goals for the company & self? Our main goal is to educate men and women on healthy hair practices while offering great products. Healthy hair practices and great hair care products are a necessity. One without the other will not give the best results that you can achieve. To me, natural hair means hair that has not been chemically processed in any way. Natural hair does not automatically mean healthy hair. How can your products be purchased? Our products are available at www.HealthyHairJourney.com and at US retail locations posted on our website. How many products are available for purchase, and what are your best sellers? We have 14 products available for purchase along with collection sets which give our customers instant savings. Our 4 top sellers are the Hydratherma Naturals Daily Moisturizing Growth Lotion, Protein Balance Leave In, Hair Growth Oil and Follicle Invigorator. These product are great for transitioners and a must have for anyone who wants soft and healthy hair. What do your products mainly consist? Anything special, ingredients wise? Hydratherma Naturals consist of natural based shampoos, deep conditioners, scalp treatments, moisturizers and hair oils. Our 3 top sellers are the Hydratherma Naturals Daily Moisturizing Growth Lotion, Protein Balance Leave In, and the Hair Growth Oil. These products are rich in “Ceramides” which are lipid molecules. These lipid molecules are like the glue that hold the cuticle together. This will prevent damage and promote length retention. Some of our products contain Emu oil which has been clinically proven to promote growth. Why do you think this product is selling so well? I believe that our products are selling well because the products work. We receive many testimonials on a daily basis from many of our customers who previously suffered from dry and breaking hair. It is very rewarding to see our customers’ hair progressing so well with our products. It is my prayer that the hair of all of our customers flourish. What will you change if you could. I would like for anyone on their healthy hair journey to enjoy the ride! I used only water and the Hydratherma Naturals Herbal Gloss Heat Protector. The key is to keep the hair soaking wet while setting it and definitely use mesh end papers. I must say! It is a fantastic product line.